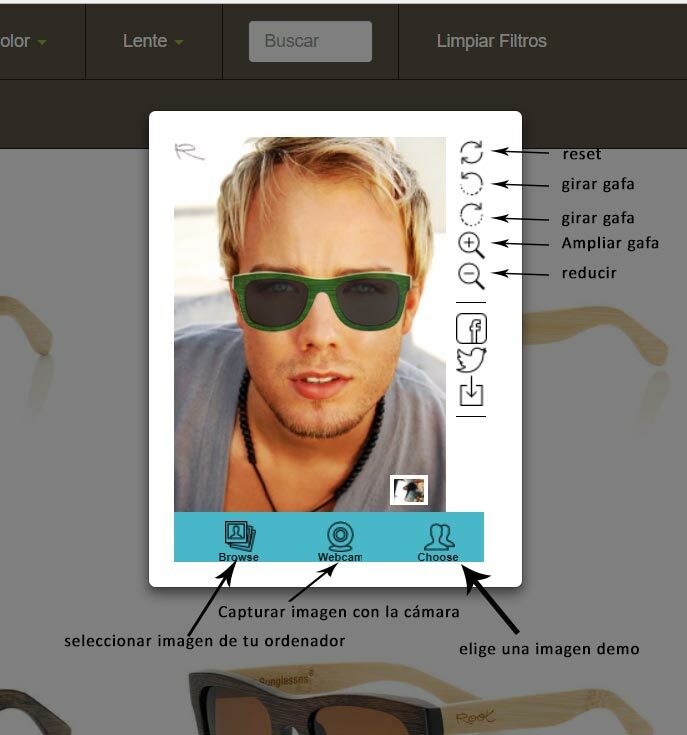 New Sunglasses Virtual Fitting Room! 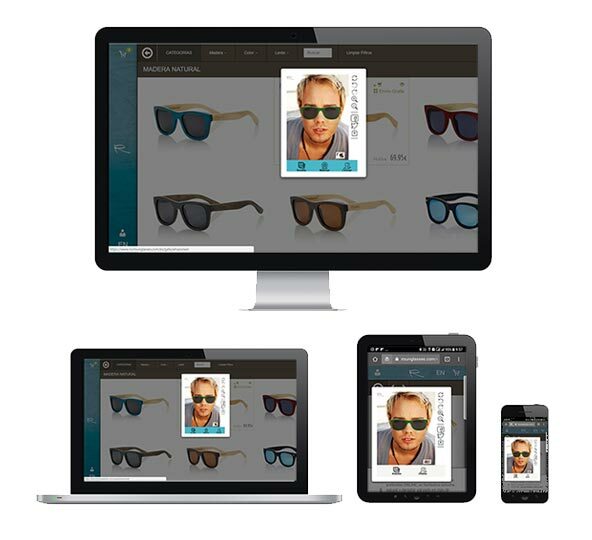 Have fun trying On our collection of wooden sunglasses directly on your computer or mobile device. In Root sunglasses We are aware of the importance for you, our customers, that you can get an idea of how you are going to be one or another model of the models of Wood, Mixed o Mixed Premium that you like before you buy them. While it is true that our policy of changes or returns is very flexible, and when it comes to changing or returning a model purchased through our online store is no problem, is not less true that when deciding for one or another model is best to see how you will look with the sunglasses that you like, that's why we have updated our online Virtual tester making it easier to use, more reliable and with the possibility to use it on desktops, laptops, tablets or mobile phones. 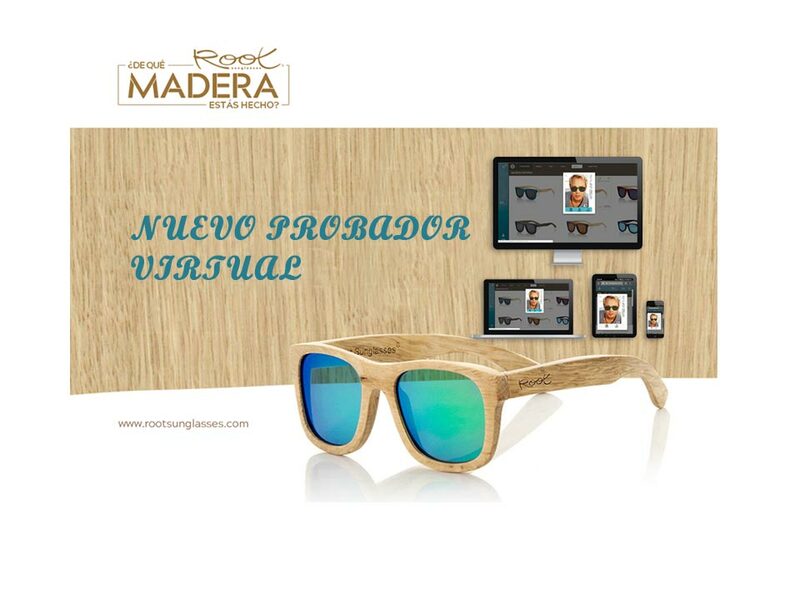 You're going to spend it in great time trying ony our collections of wooden sunglasses, since the use of the new virtual tester of Root sunglasses is very intuitive and easy to use, just click on the icon of the eye you will see both in the list of glasses and on the tab of each P Product. Immediately click on the icon of the eye well on the catalog page or on the tab of each model will open the virtual tester with a demo image. The first time you use it you must accept the permissions and select a picture of you that you have stored in your device, or use the front camera of your device to have a photo at the same moment and see how you would have the selected glasses. If necessary you can move the glass to fit the face or rotate it to extend it etc. We hope you enjoy this free tool that we put at your disposal for us the most important is your satisfaction and that your shopping experience on our site is as satisfactory as possible, if you have any questions about the use of the new Virtual tester of root sunglasses do not hesitate to contact us by phone email or through social networks. We will be delighted to Antenderte!